While geometric designs are super trendy right now, they’ve actually been a feature in art and architecture for centuries. 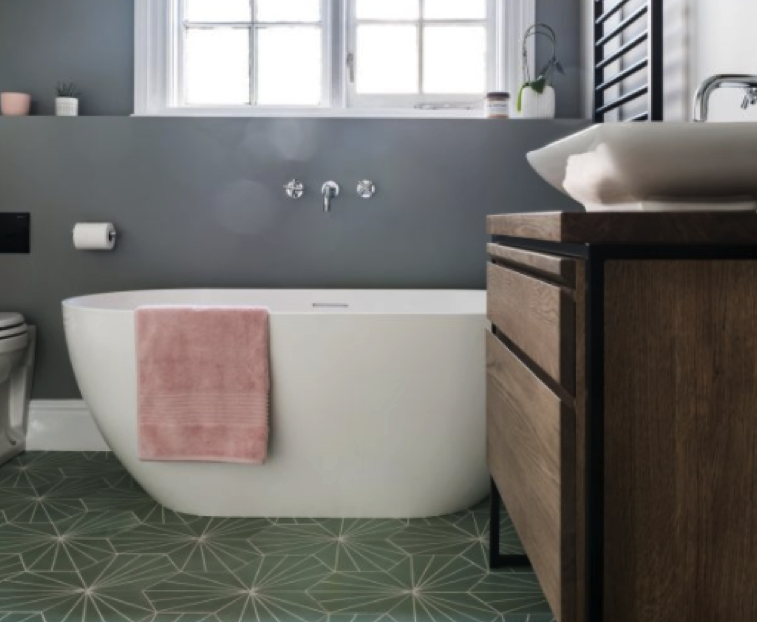 The re-birth of geometrics got a boost from the modern design trends in the 1930’s and have since become synonymous with a simple but noticeably chic style. Modern patterns and trending colors make this detail perfect for almost every interior design style. 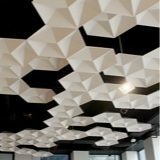 So whether you want to dive in and create a truly modern space, or simply dip your toe in and add some bold flair, these geometric design trends will get you there. 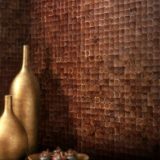 Walls are a great way to make a big impact in your space, regardless of size. Geometric patterns can be as intricate or as simple as you’d like. This lively wallpaper pattern is subdued just enough by the use of only 2 colors. Note that the black sections create their own pattern-within-a-pattern, giving the design an elegant contrast and intricate detail. 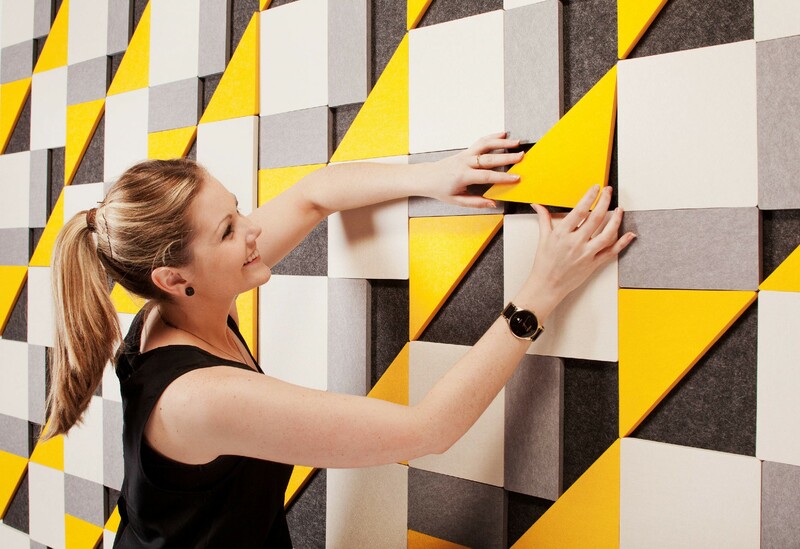 These Acoustic Geometry tiles from Kirei make changes for your space quick, easy and fun with their Peel and Stick installation feature. Designers, let your imagination and creativity run wild – the possibilities are endless with the variety of colors and shapes available. 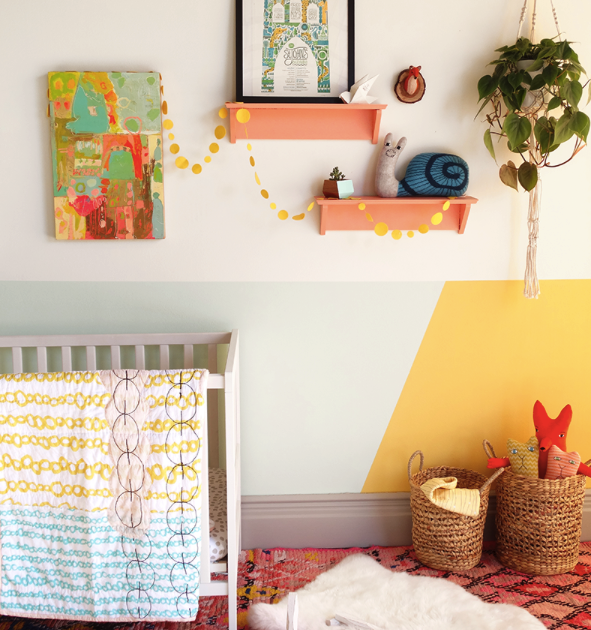 More lines, points and angles make a space feel lively and invigorating, while large scale patterns like this nursery wall can help to create a calmer atmosphere. This nursery provides a soothing vibe with its limited lines and subtle color choices. 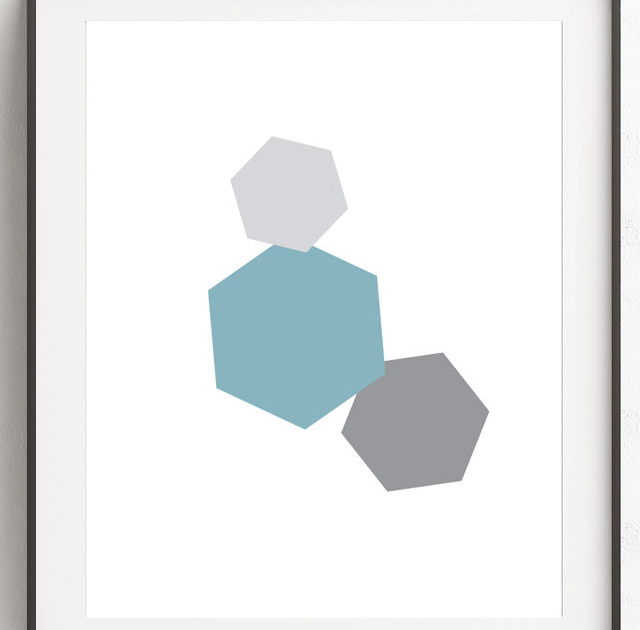 Colors are not the only way to make a geometric design pop. 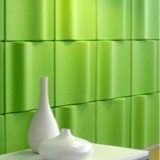 Varying depths and sizes of cubes creates a visually interesting pattern, adding texture and contrast. 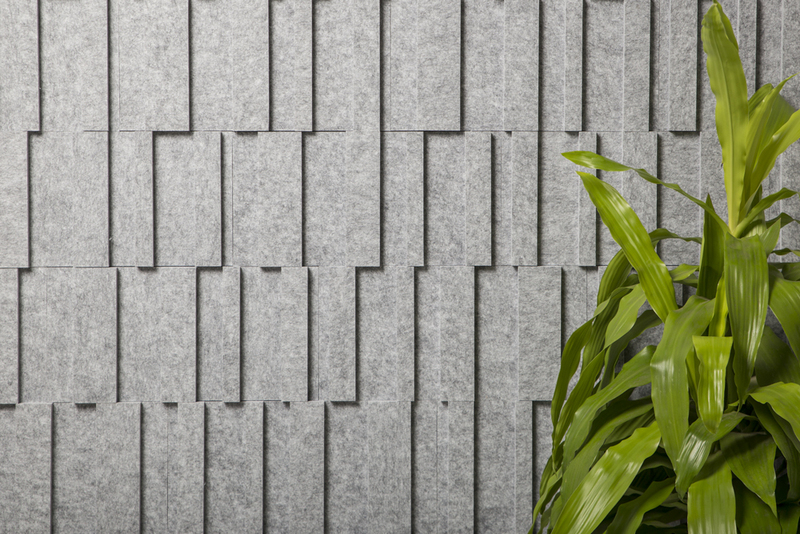 These Kirei tiles are very versatile and can be used to make limitless designs with different profiles and colors. The total effect is chic and subtle. 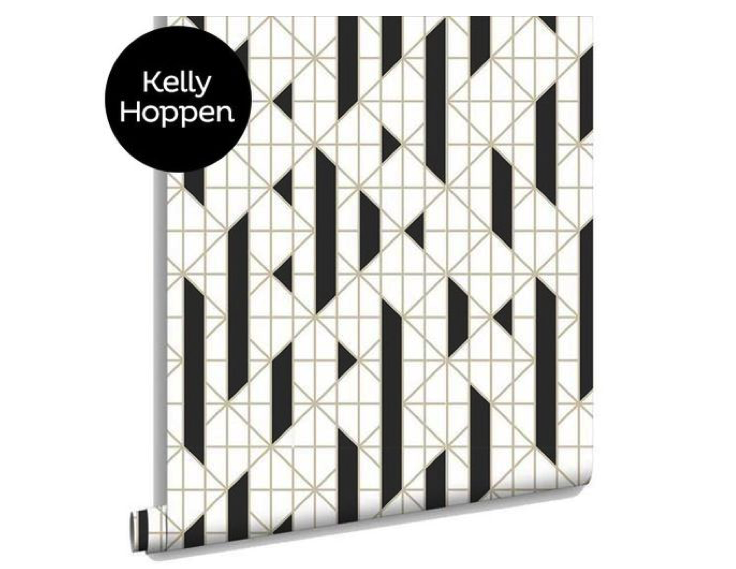 Calling on historic designs, this modern pattern uses negative space to create a bold statement. 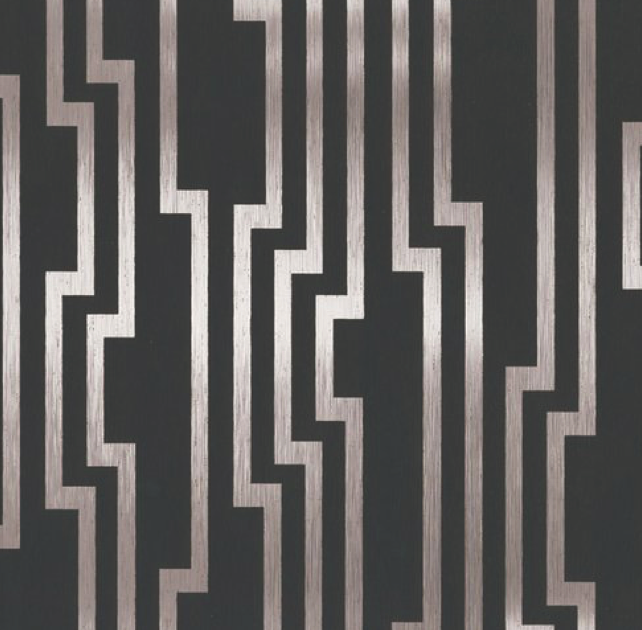 This 1930’s era design will step up the glam factor in any room, and the linear pattern with square insets gives a space a feeling of movement and height. If you want to try a geometric print without a long-term commitment, consider using a rug in your space. Rugs can add just a hint of color or pattern to a room. They are a great way to implement geometric design in your overall style. 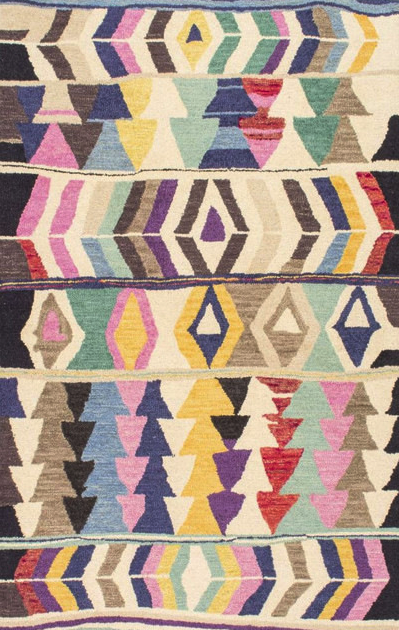 This colorful pattern takes the edge off with soft, not harsh lines, which give the rug a hand-woven, artisan feel. 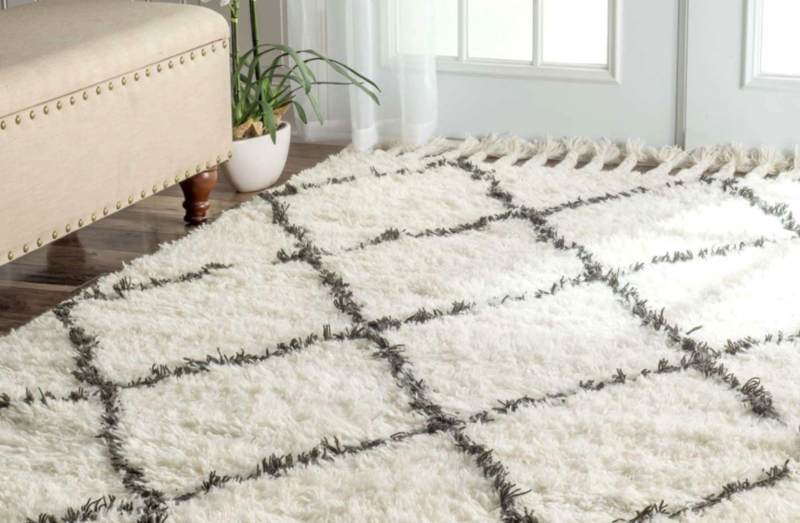 The neutral color palette featured in this rug is an instant classic with a black and white combo. The larger pattern brings in just a touch of modern design. 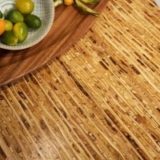 For those straight-line lovers, tile is the way to go. When furnishings are kept to a minimum, let your floor and wall tiles take center stage. These delightful patterns will quench anyone’s thirst for some order in a room. 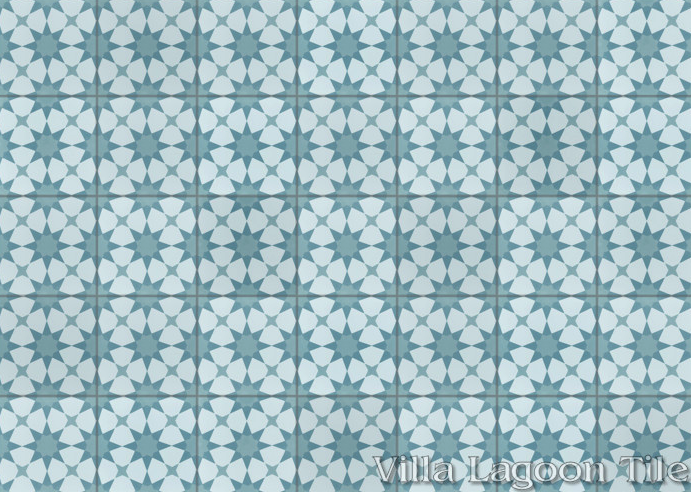 Bearing resemblance to a kaleidoscope, the collection of shapes in this cement tile is unified by a limited color palette. A bold, but intricate tiled floor or wall will command attention and brings personality to your space. 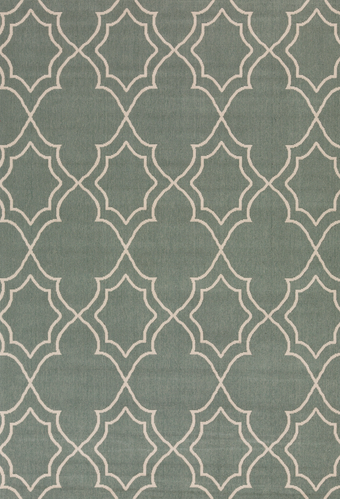 If splashy isn’t what you want, try an intricate pattern in your favorite color. This will keep the pattern from becoming overwhelming, but still gives texture and sense of modern style. 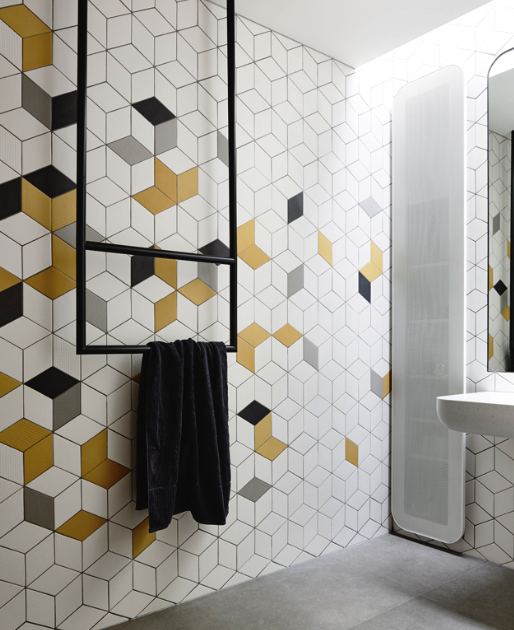 Mix it up a bit and create your own pattern with tiles of the same size and shape but different colors. Choose one color for the background and use that to make the other colors stand out. The placement of colors can be random or more ordered. Grout is great to use as a design element. 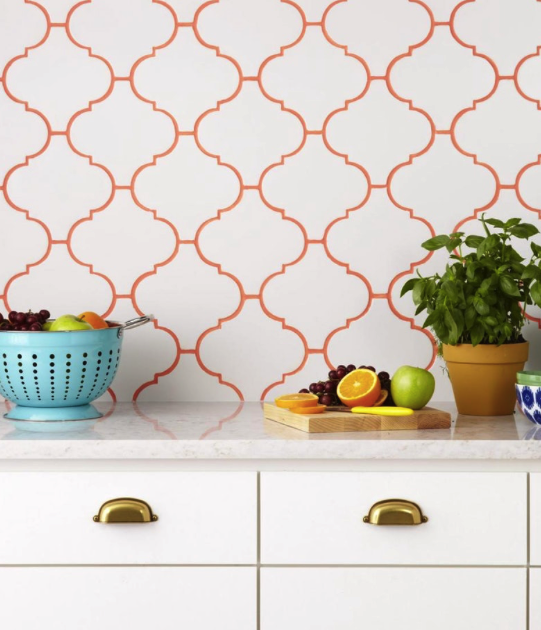 An unexpected color makes an intricate tile pattern really pop. The contrasting colors in this feature accentuate the beautiful curves and make this tile stand out. 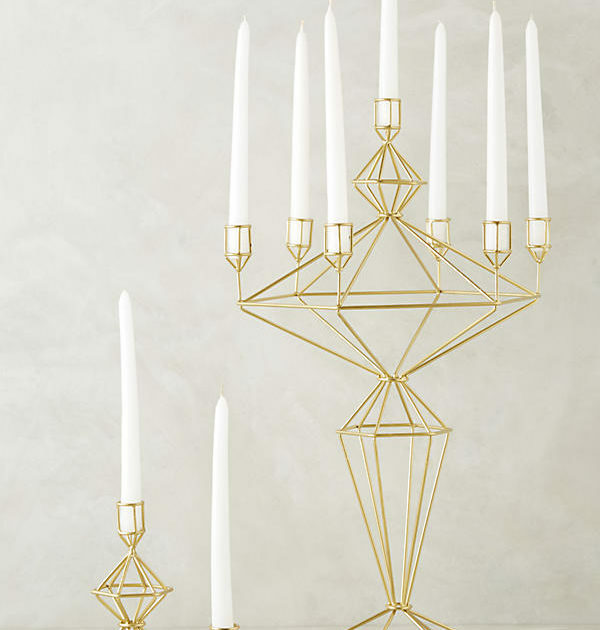 Small accents are a great way to add just a touch of geometric design to your space. They can be easily changed if you find you don’t care for an aspect of the design. 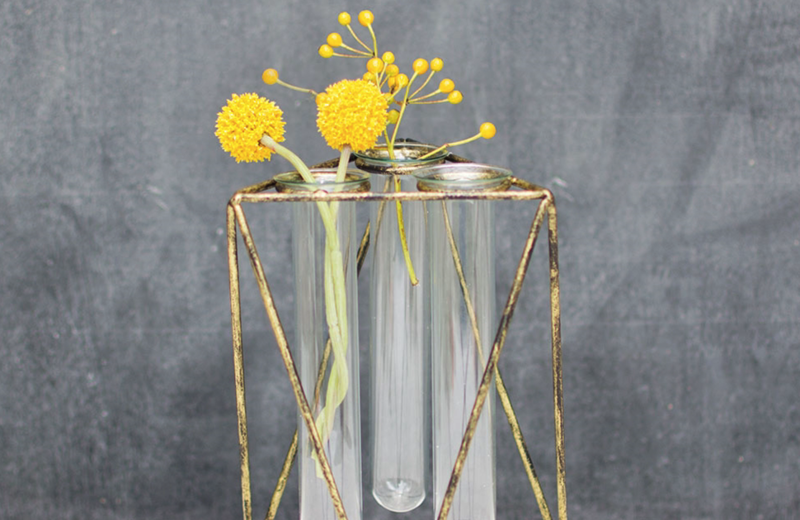 Metallics and geometric pieces go hand in hand, and this simple but bold vase demonstrates exactly why. The openness of the design and subtle finish keep the piece interesting—and it takes up less visual space. 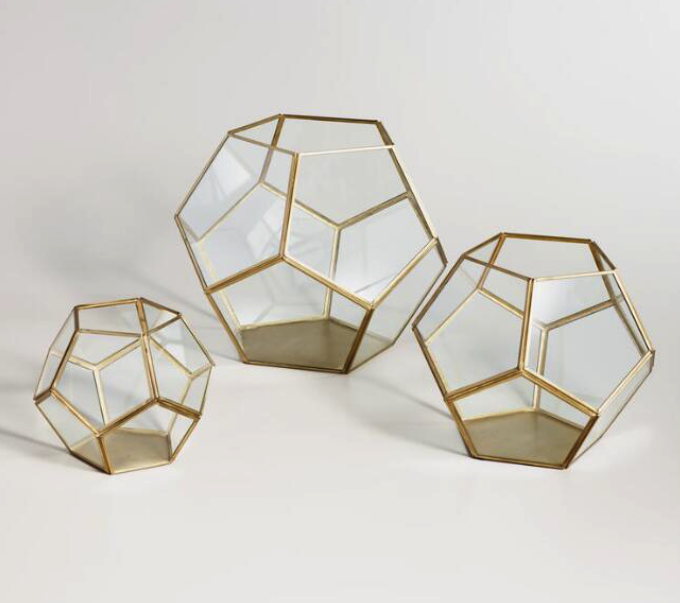 These faceted terrariums are perfectly poised to hold some fresh greenery. Another cool way to inject a small amount of style, they look great empty or with your favorite plant. This simple, fun print gives a tiny splash of color just where you need it. Brighten up a neglected wall in a corner or hang the design front and center above a table. 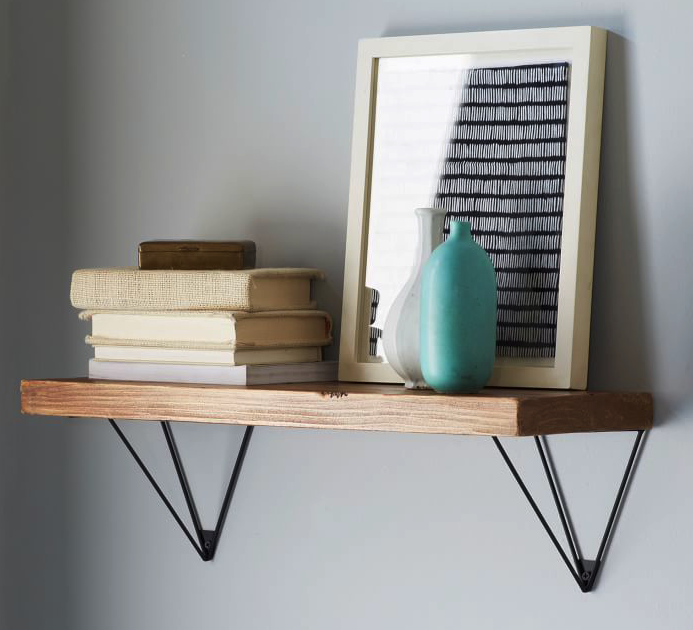 Show off your collections in style with this modern shelf. The warm, reclaimed wood gives a rustic feel against angular steel brackets. Even your table can get a lesson in math. These fun, bold candleholders will liven up any table setting, and maybe even start a conversation! Geometrics are an enduring design style. Clean lines create simpler designs while busy patterns bring a bit of playfulness to a space. Small touches update a room and larger pieces set the stage for a modern space. Geometrics don’t have to take over your home. You can easily mix and match patterns with old and new styles. Whatever your preference or style, this design trends will bring a sophisticated and pulled-together space.